Eating for your health means making consistent lifestyle changes, and making healthy decisions every day. Although not all cancers are preventable, many are closely related to your lifestyle and health. The World Cancer Research Fund, for example, estimates that as many as 1 in 5 cancers diagnosed in the US are related to fitness and nutritional choices. That means that although your food choices may not cure cancer, they can certainly help play a role in preventing it. Not all foods will have the same impact, and none of them will have significant effects just once or twice. Eating for your health means making consistent lifestyle changes, and making healthy decisions every day. But by taking these rules into account, you can begin to make an impact on your diet and your overall health. When you eat a high-saturated fat diet full of red meat, scientists have found, you put yourself at higher risk for developing cancer. So too do you risk your health when you eat processed meats. The World Health Organization found that processed meats, such as hot dogs and bacon, could increase your risk of colorectal cancer by as much as 18 percent. This is because many of the techniques used to process meat add some kind of carcinogenic material, or material that becomes carcinogenic when cooked, in order to preserve the meat. Cancer organizations have issued a near-unanimous recommendation for those at risk of developing any type of colon or stomach cancer: eat a diet low in red meat and high in plants. 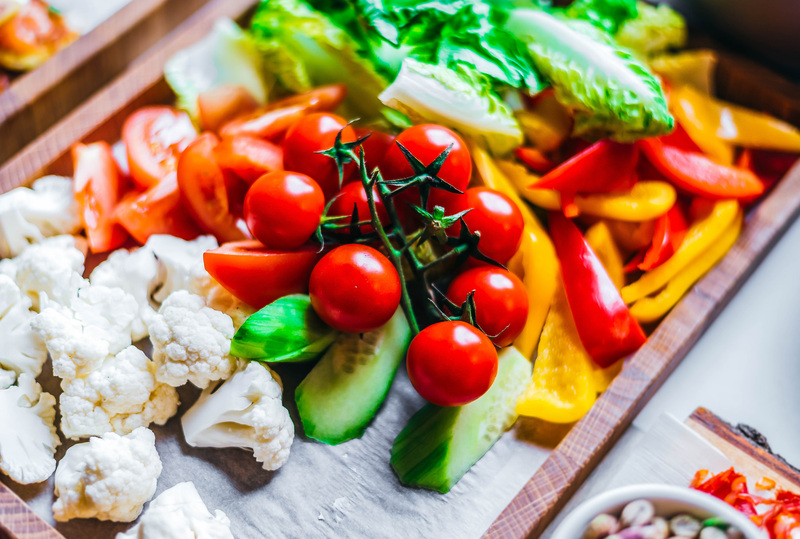 You don’t necessarily have to go vegan, but keeping red meat down to an occasional meal will make a significant impact in your health and your cancer risk. Broccoli, leafy greens, tomatoes and sprouting seeds all make excellent additions to any diet, and they are all powerful additions to a cancer-fighting diet. Beansprouts have sulforaphane, one of the most powerful cancer-fighting compounds found in nature All of these superfoods have been linked to decreased rates of colorectal cancer, breast cancer, cervix cancer, lung cancer or brain cancer – in short, adding vegetables to your diet can literally help fight off cancer all over your body. Foods rich in healthy fats like avocados, seeds and oils are also full of cancer-fighting properties. Consuming omega-3 fish oil, which has an anti-inflammatory effect, can help prevent colon or breast cancer by providing vitamin D and vitamin A. Seeds can fill your gut with healthy flora, preventing any colorectal cancers from developing, and provide you with lots of healthy fats and vitamins that keep your body running smoothly. Avocados are full of minerals and fats, making an excellent choice to add into any meal, and nuts – anything from almonds to brazil nuts to peanuts – give you selenium, a powerful mineral that has a number of health benefits, including cancer-fighting properties. For example, Paul Kraus, who is an expert in technology insurance, believes that by removing processed foods, white sugar, flour and fried foods, as well as using juicing as a way to increase the intake of helpful nutrients, you can gain a real advantage in your cancer battle. Filling your diet with rich, healthy foods and greens will help keep you healthy and in top shape. On the other hand, loading up on red meats, processed foods, junk food and food with excess sugars and saturated fats will only spell bad news. For all the work that science has done to learn about cancer, we are increasingly discovering that the principles we already knew remain true. Eating a healthy, plant-based diet that’s as unprocessed as possible keeps chemicals out of your body, and keeping chemicals out of your body significantly reduces your risk of developing cancer over your lifetime. Also using a more healthy alternative to tobacco by inhaling dry herbs with a vaporizer device can lead to decreased cancerous toxins. diet to keep your body strong and cancer-free. A digital nomad and an internet entrepreneur with a thirst for food and travel. This is Why I’m Adopting a Plant-Based Diet.